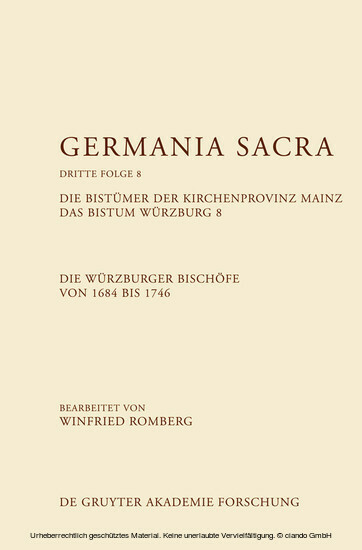 The fifth volume of the Würzburg Bishopric Series covers the episcopates from the epoch of late-confessional Catholic provenance through the first glimmers of the Enlightenment. The five pontificates that are presented illustrate the acme of absolute power achieved in this era. Generally, the Würzburg system of governance adopted fixed forms that were maintained throughout the rest of the 18th century.